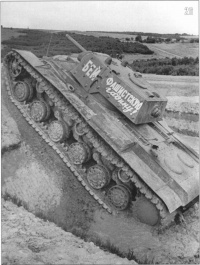 KV was a Soviet tier 5 heavy tank. Currently it is inaavailable in game, being removed in update patch 0.7.3. It was split into two separate tanks, the tier 5 KV-1 and the tier 6 KV-2. This page was last modified on 1 October 2016, at 23:01.